After approval by the General Assembly, the 2018 Veterinary Regulations have been posted on the FEI website along with a Memo resuming the principle modifications. We urge you to consult the 2018 Veterinary Regulations as there are additional modifications that could impact your role as Official Veterinarian. Horses will no longer be treated by injection with any substance prior to competition on the day in which they compete. Please kindly note for clarification that horses can still be treated at events after they have competed. An exception to the regulation will be granted for classes starting at 1800hrs or later. Vaccines must not be given to horses at events. Veterinary Forms 2 and 4 will no longer be in use. Veterinary Forms 1 and 3 will remain in use and be renamed to Veterinary Forms A and B respectively. Clarification has been provided regarding the use of supportive therapies at FEI events. Supportive therapies e.g. manual therapies and the use of therapeutic machines have been categorized into Non-Restricted and Restricted Therapies. A new category of personnel known as ‘Permitted Equine Therapists’ will be permitted to carry out restricted therapies in which they are trained and must work under the supervision of a PTV. An online registration process is currently under development and the FEI Veterinary Department will send a further communication regarding registrations in the coming months. In view of the time required to develop the system and process applications, the statuses of Permitted Equine Therapists working at events will be regulated from 1 July 2018. All other regulations relating to the use of supportive therapies will be implemented on 1 January 2018. All educational requirements for FEI veterinarians have been removed from the regulations and will be published on the FEI website. The Veterinary Delegate’s responsibilities will include ensuring their rotation at events, attending the event on the day before the horse inspection, ensuring the examination on arrival takes place, sending samples to FEI laboratories where sampling takes place in the absence of a Testing Veterinarian, reporting equine fatalities and ensuring a full post mortem examination is carried out regardless of the circumstances surrounding the horse’s death. Where possible post mortem examination will be carried out by a pathologist at a dedicated veterinary pathology facility and the standardised FEI Post Mortem Examination report will be completed. All supporting event paperwork is to be sent to the FEI Veterinary Department within 72hrs of the end of the event. Testing, Measuring and Examining Veterinarians will be required to submit their respective reports and all supporting paperwork within the same timeframe. Horses will not be permitted to wear bandages or blankets/rugs or equivalent and must not be presented with their identity concealed. Horse handlers must also be suitably dressed for handling horses. The Holding Box Veterinarian must be a member of the Veterinary Commission where applicable or appointed by the Veterinary Delegate in conjunction with the Veterinary Services Manager. The veterinarian must only provide clinical information and not their opinion on the horse’s fitness to compete. The handler, PR, groom, Chef d’Equipe and PTV associated with the horse may enter the holding box. Re-inspections are not permitted following a morning re-inspection and following a second horse inspection that takes place before a final competition. Horses that have not been accepted at the horse inspection or withdrawn following the holding box examination will not be permitted to compete in national classes at the same event. Horses that leave the venue during the event will be permitted to re-enter the venue and continue in the competition if they have left to undergo examination at a referral clinic. For all Endurance events of 160km in one day or an average of 100km in two or more days, horses are to remain under veterinary supervision for 4 hours following the conclusion of the event or for eight hours if they have received invasive treatment, or at the discretion of the Veterinary Commission. Minor changes have been made to the minimum requirements for stabling facilities, veterinary services and equipment requirements and an examination on arrival area at FEI events. The use of common water troughs will no longer be permitted except in Endurance Events. The changes concerning pony measuring regulations include the FEI reserving the right to carry out unannounced pony measuring and where ponies are presented in bridles, they are to stand on a loose rein. Ponies having measured out during competitions and ponies that have not been presented for measuring following request, will not be permitted to compete in any the FEI Event until the relevant measurement has been carried out and the pony’s height has been determined. Next year’s course calendar will be published on the Courses for Veterinarians page by January 2018. Please note that challenge events are not valid experiences for Veterinarian Delegate promotion. Current FEI Course Directors have been appointed in 2017 for a 4 year term. The new application process will open in 2020 for nominations in 2021. After the completion of 2017 Veterinary Courses, the list of FEI veterinarians has been updated. Please be reminded that Official Veterinarians whose ID card expires on 31 December 2017 and who are up-to-date will find a new card, validated for 4 years, in their online account as of 1 January 2018. They will be able to print it from their account and will be required to present it at all FEI events where they will officiate. Official Veterinarians who have not passed the required courses or completed the PTV exam will have their function ended and will not be able to officiate until they satisfy the requirements. Endurance Official Veterinarians and Endurance Veterinary Treatment Officials who have not passed the required PTV exam and courses or who have not officiated at the required minimum number of events will either have their function ended or be downgraded to the lower star level. 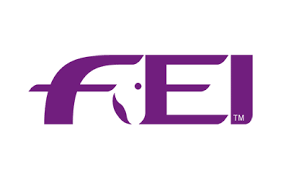 The National Federations will receive their list of FEI Veterinarians with all details and explanations concerning the requirements to maintain their status. The procedure for becoming a Testing Veterinarian or maintaining the Testing Veterinarian status has been revised. An Official Veterinarian wishing to become a Testing Veterinarian is required to be nominated by the National Federation and complete 3 defined steps; attend a Testing Veterinarian Course, complete the Testing Veterinarian Online Examination and pass a practical evaluation with a Testing Veterinarian at an FEI event. Established Testing Veterinarians will be required to maintain their status by completing 2 principle steps; attend a Testing Veterinarian Course and complete the Testing Veterinarian Online Examination. Furthermore, Testing Veterinarians who have not passed the PTV online exam before 1 March 2018 will not be appointed to future events until they have updated their status. Please consult the Veterinary Education website for the complete guidelines on how to become a Testing Veterinarian and other relevant information. Additional information concerning status maintenance will be sent to you at the beginning of next year. The Equine Prohibited Substances List (EPSL) is reviewed on an annual basis. Changes to the EPSL will come into effect on 1 January 2018 and can be viewed here. It is possible for any member of the equestrian community to propose changes to the EPSL. If you would like to submit a proposal to the FEI List Group, please complete and submit the form before 15 March 2018..
We would like to take this opportunity to thank you for your invaluable contribution during this challenging year and wish you all a Happy and Successful New Year 2018!